A small, but not insignificant bit of news. 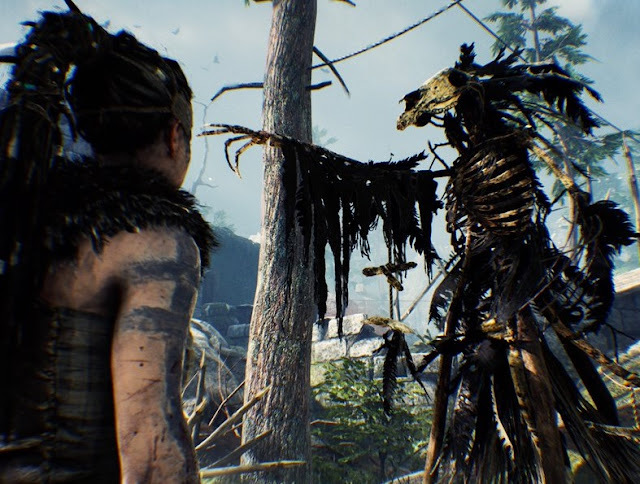 We already knew that Hellblade: Senua's Sacrific, Ninja Theory's brilliant descent into the underworld, is coming to Nintendo Switch, and now we know the exact date that it will land: April 11. Hellblade tells the story of Senua, as she delves into the underworld - and encounters her own demons - in an effort to save a loved one. It melds a fairly simple combat system with some of the most unique and thematically appropriate puzzle solving you'll ever experience, and really helps to set Hellblade out against some of the peers that - visually - it might resemble. Read our review of the game here. It's going to be interesting to see how Hellblade turns out on the Switch.. It's certainly a striking and beautiful game on the other platforms - and it's one of those rare games where visual cues are often subtle and important to be able to see. How's that going to work with the Switch in handheld mode, we wonder? We'll find out on April 11!